Moving to Denver? It’s the perfect time to find the house of your dreams. Condos and single-family homes are plentiful in the Mile High residential market, thanks to a 35.28 percent increase in inventory in 2018, according to the Denver Metro Association of Realtors (DMAR) Real Estate Market Trends Report for November 2018. We know Denver is the place to be, and so do others. Each year U.S. News & World Report ranks the livability of the country’s top 125 largest metro areas based on categories of interest to new residents including employment opportunities, cost of living, crime stats, and quality of education. This year Denver is in the top three for the third year in a row! While Denver sits in the number three spot, Colorado Springs ranks at number two, just behind Austin, Texas. Local sales volume in Denver from January through October 2018 is up 5.45 percent over 2017, keeping both realtors and buyers content. With an increase in properties to choose from, you’re sure to find the perfect square footage, interior layout, and neighborhood for your family. How much can you expect to pay for a home in this popular Colorado city? According to the DMAR, the current median home price sits at $400,000 and is available on the market approximately 24 days, which means you need to act fast when you find your ideal new residence or play the bargaining game with other interested buyers. Denver tends to have a higher home price and more competitive market than the average in the U.S. Zillow estimates the median home price across the country is just over $220,000, and it generally takes 68 days to sell a home. Fortunately, when it comes to the current cost of living in Denver, residents enjoy a lower cost for utilities and groceries when compared to the national average for these expense categories, according to PayScale. They also report that the overall cost of living is lower in Denver when compared to Phoenix and Dallas, two major cities in the same southwest area of the country. It’s not surprising new home sales increased 7.4 percent during the first half of 2018 despite higher mortgage rates and home prices than in previous recent years, according to Lawrence Yun, Chief Economist of the National Association of Realtors in an August 2018 Forbes article. ABC affiliate Denver 7 reports that home prices in Denver will dip in the latter part of 2019, thanks to insight from Location, Inc., a geographic research and data mining company that analyzed housing in Denver, Boulder, Greeley, and Ft. Collins. The decrease in real estate pricing is expected to span five years with 9.3 to 32.7 percent drops in price tags predicted across several outlying and suburban communities. 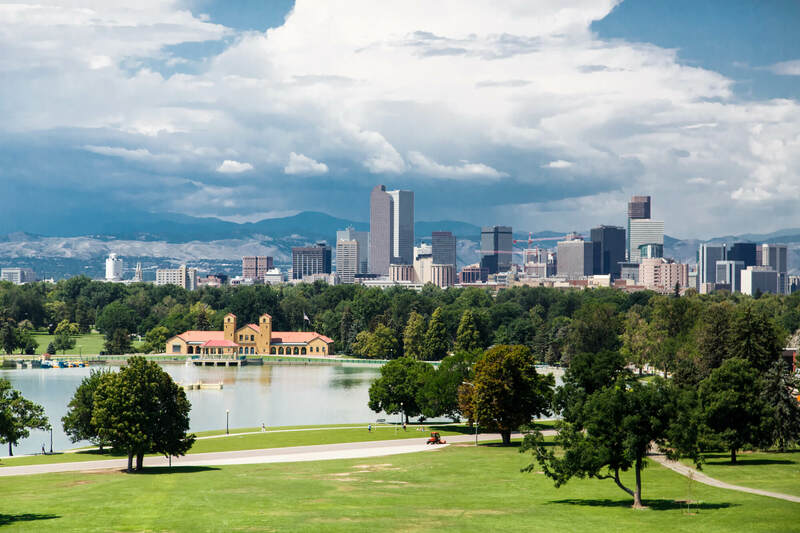 While this isn’t good news for sellers, it’s enticing for anyone looking to locate to the Denver area or for current Colorado residents who are ready to become homeowners. Jerry Kaplan, executive vice president of capital markets with Cherry Creek Mortgage, explained in an October 2018 Denver Post article that current 30-year mortgage rates in the Denver area are “above 5 percent”, which is an increase from the average 4.75 percent rates they’ve been enjoying, which buyers need to take into consideration as they calculate monthly loan payments. If you’re looking for a new place to call home in the Denver metro area, contact Copperleaf Community to learn about a variety of floor plans from KB Home, Richmond American Homes and DR Horton Homes starting in the $300,000s. We’d love to welcome you to our neighborhood!